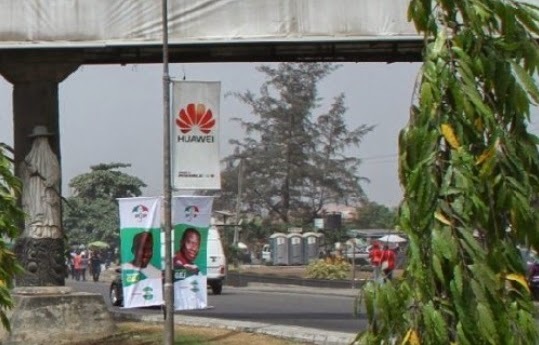 Chinese-owned Telecommunication company Huawei has cancelled its street lamp pole outdoor contract, with Lagos based outdoor advertising agency Touchpoint Limited over illegal deployment of Goodluck Jonathan campaign materials on poles paid for by the company. Huawei had secured the old tollgate location by Motorways, Ojota, Lagos, for a period of one year and had paid the mandatory Lagos State Signage & Advertisement Agency (LASAA) fee for their campaign. Sources at Huawei said the deployment of Goodluck Jonathan campaign materials alongside theirs was unacceptable and therefore had no alternative but to cancel the contract. Touch Point in a statement said ‘Our client, Huawei cancelled the contract saying it was due to the breach by the PDP to run a parallel campaign on poles solely reserved for Huawei’’. The statement went on further: ‘Elections should not be used as an avenue to disrupt the honest business of hardworking Nigerians. There are procedures for deployment of items on street lamp poles and, going through this crude means is not only damaging, it is unfair, inconsiderate and above all illegal by a political party that seemingly prides itself on the rule of law. I have spoken with my lawyers and we are considering legal action over this inconsiderate action by the PDP and its agents’’. Jonathan should chill must he bring his poster to our bedroom for us to vote for him. You have all the right to take a legal action, there after, you will regret doing business in Lagos and Nigeria at large. You allow yourself to be used against the opposition party and our beloved president. @emmanuel, just wondering who your beloved president is? Allow urself to be used by the opposition and regret it for life nonsense. Una no go keep quiet de do una biz naija no sweet una. Is very clear that this Huawei guys are backed by APC to be doing any thing they want. You know that no Nigerian company can try this in China. 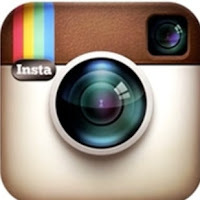 I wonder if Nigerians are aware of the way this company operates in Nigeria. Am sorry for them. Many of you are ignorant. I guess its because some of you know nothing about OOH (Out Of Home) Advertising industry. I’ll summarise: an OOH firm secures the sole rights for lamp pole adverts by paying permit fees to the relevant state regulatory agency (in this case LASSA) once an OOH firm has the sole rights it can offer the poles as advert spaces to prospective clients (in this case Huwai). PDP’s action is a breach of contract for the OOH firm and Huwai. The only reason Jonathan’s campaign team did this is because the lamp poles are situated on a federal road but notwithstanding due process should have been followed and an agreement should have been reached with LASAA but LASAA is an agency run by APC members in a state with an APC governor, so I guess PDP felt there was no other option. PDP should have considered the fact that there was an existing campaign on the poles(a pole can take only one campaign). This is just a case of the grass suffering when two elephants are fighting. Can you all please read the report, it is Touchpoint the OHH firm and not Huwai its client that is considering taking legal actions against PDP. The heading is just used to get your attention.